After the evaluation of all answer sheets, the board has come up with a notification regarding the declaration of JCECE results 2016 for PCM engineering field. The results are out at the official website namely, www.jceceb.jharkhand.gov.in’. Earlier, the results were thought to be declared in the last week of June, but indeed there came up some needs which made the result delay for some time. JCECEB conducts a large number of exams for making the people eligible, to apply for admissions in different courses. All the latest updates and news regarding various entrance exams and their code of conduct are officially made available through the board. It also notified candidates about the JCECE 2016 Exam and offered invitations for the applications which ought to get qualified for Engineering, Medical, Agricultural, Forestry and Animal Husbandry, etc. The exam was conducted successfully and a large number of candidates applied for that. The seats will be allotted to the candidates according to the list prepared on the merit basis of the score obtained in the exam. If two students receive identical marks in the JCECE 2016, then the candidate which get higher marks in Mathematics and Physics would be given preference first. Moreover, if there marks in Mathematics and Physics also become identical, then the candidate older in age would be preferred first as per English alphabetical order of the first name. All the answer sheets of the appearing candidates are evaluated with great effort and care. Accordingly, the board does not offer the re-checking process. Repeatedly, the answer sheets are scrutinized which make fewer chances of failure. In this regard, the board does not provide any application. The candidates are not given any kind of leniency in the matter of evaluation criteria for their exam. A huge crowd of eligible candidates came up to give the exam. The applicants must be eagerly waiting for the results. Now, the long wait has come to an end. The board has declared the result on the website itself. All the applicants can check out their results. The candidates are required to give their roll numbers to make a view of their result. The candidates who clarify the exam becomes eligible for counseling. All the counseling schedule and dates are also available on the website itself. • Open the official website, ‘www.jceceb.jharkhand.gov.in’. • The screen would show the homepage. 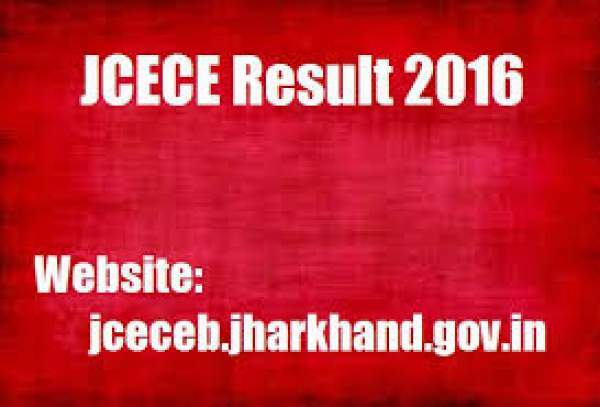 • Click on the link which shows ‘JCECE PCM Entrance Results 2016’. • Now, select your examination. • Fill up your required details. • The screen would come up with your result. • Make a download of your result. Stay tuned to The Reporter Times for latest exam results, education news and all government jobs updates.